Yesterday, we reported some initial news and details about the Amazon Route 53 BGP hijack that resulted in a loss to some cryptocurrency users. Another BGP hijacking event is in the news today. This time, the event is affecting the Ethereum cryptocurrency. (Read more about it here, or here.) Users were faced with an insecure SSL certificate. 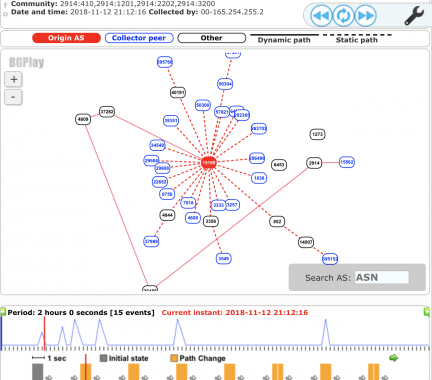 Yesterday, there were two BGP routing incidents in which several high-profile sites (Google, Apple, Facebook, Microsoft, Twitch, NTT Communications and Riot Games) were rerouted to a previously unused Russian AS.